Practice the problems provided in the worksheet on division using multiplication table in short form and long form. 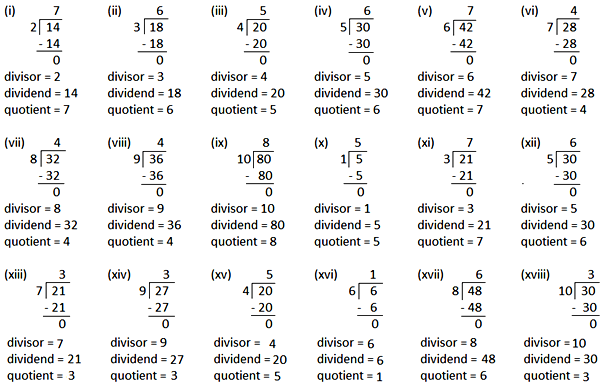 The questions are based dividing single-digit or two-digit number by a single digit number using multiplication table to find the divisor, dividend and quotient. Answers for the worksheet on division using multiplication table are given below to check the exact answers of the division problems.